Gallantry Salon & Academy is the world’s first Army themed salon. The brand, as their name suggests, believes in the courage to begin, boldness to continue, fearlessness in all challenges, a dauntless spirit, a determination to succeed in business and the fortitude to be a leader. As its gallantry, and the word gallantry belongs to the army. 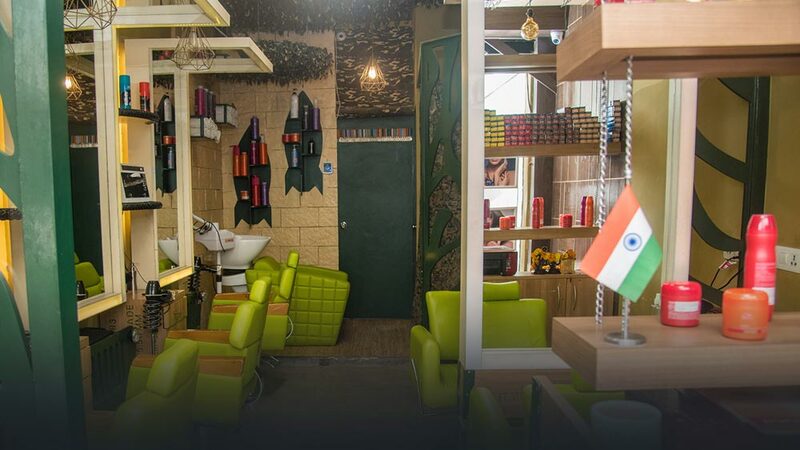 So as the name suggests, our salons are army themed salon, which is a totally different and unexpected kind of experience for the customers or civilians. There are salons working on different themes, but we are unique. It is more of an awareness brand towards our army, as people who don’t belong to an army background or family can come to our salon and experience the feeling. Beauty & Wellness industry is altogether about look & feel. People going to a salon, is there to attain relaxation. Thus, decor matters a lot in delivering that level of relaxation. If the interior is good and pleasant, the overall experience will be better in addition to good services. We recognize the opportunity and the challenge in the beauty & wellness industry and are responding to both. In this business, the ratio of male and female is equal, so location matters a lot to garner customers of both genders. One should check whether there’s a wine or alcohol shop nearby. It should be located on the ground floor for easy access. The store should be visible and in a pleasant location. Salon business is all our good services and experience. The best-in-class services to our clients are a part of our DNA. To ensure uniformity to all the stores, we do have our own parameters for everything, starting from interiors and quality of staff to services. And we adhere by our parameters and execute the same. Beauty care as a service sector offers great scope for both employment and entrepreneurship. We are offering this opportunity to aspiring entrepreneurs via franchising. Gallantry provides complete support from setting up the business to help in making it a success, for every aspect. However, as said, we have our own parameters. One of the most desirable qualities we look into the prospective franchise is that they should relate to the company’s ideology and are willing to work. In addition to it, they should be enthusiastic, energetic and are open to grab the opportunities this industry has to offer. Our marketing strategy revolves around our USP. Since it is new, it is unique and it is in the market. People nowadays want something fresh, and they love our concept & services. So, due to positive feedbacks, we are getting a good amount of word-of-mouth references.